Many Texans work in dangerous occupations. Oil field workers, builders and roofers, and agricultural workers are employed in some of the most hazardous fields in the country, facing higher rates of injury and death on the job than workers in almost every other profession. Topping the list of dangerous occupations is commercial transportation. Big-rig truck drivers have a fatality rate that is seven times higher than the overall workplace average. It’s important to understand why this is such a dangerous occupation and how could it affect you as a motorist in Texas. How Dangerous Is Truck Driving? According to the U.S. Bureau of Labor Statistics, 918 truckers lost their lives on the job in 2016, accounting for nearly 50 percent of all workplace deaths across the country. Every year, over 65,000 truckers suffer illness and injuries requiring time away from work. According to the Federal Motor Carriers Safety Association (FMCSA), 4,564 people were killed in crashes with large trucks in 2016. Eighty-four percent of them were occupants of vehicles other than the semi-truck. Texas is one of the top ten states for commercial truck fatalities. Hazardous weather conditions. Unlike motorists who can choose not to travel or pull off the road when the weather is bad, truckers must deliver their loads in all weather conditions. This means, they may be driving in snow, ice, fog and heavy downpours, limiting their ability to see other vehicles. They are also under pressure to keep to a schedule despite the weather and may drive too fast for conditions, causing an accident. Poor road design and traffic congestion. When a trucker is unprepared for a bend in the road or for traffic back-ups in a congested area, he may not slow down sufficiently to avoid an accident. Driving in unfamiliar areas—which truckers frequently do—can lead to truck driver distraction, sudden braking, and veering into other lanes of traffic. Driver fatigue. While truck drivers are limited by federal law in the number of hours they can drive, these laws are often ignored. 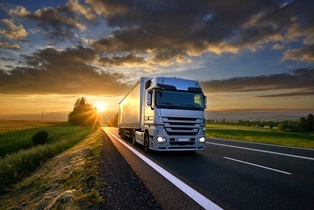 Truckers frequently drive at night or on very little sleep. Fatigued truckers are less attentive to other drivers and changing road conditions and are at risk of falling asleep at the wheel. Poor maintenance. If a truck has not been inspected according to the law or has not been maintained properly, an accident can result. Failing brakes, malfunctioning lights, shredded tires and loose trailer couplings all account for poorly maintained trucks that can injure and kill other motorists. Driver distraction. Long-haul truckers have a lot of time to kill, and many break up the monotony by using cell phones, talking to a co-driver, traveling with a pet, and even watching videos while they are driving. Distracted driving is dangerous enough when the average motorist does it. Behind the wheel of a big rig, however, it can cause a catastrophic accident. Truck drivers perform an important job in America. However when a careless truck driver or negligent trucking company causes a crash that leaves you seriously injured or kills a loved one, you deserve to be compensated. Parker Law Firm represents victims of commercial truck crashes and is not afraid to take on the big insurance companies that represent truckers. Call to schedule a free consultation in our Bedford office today. We will help you understand your rights and get the recovery you deserve.